You may have heard that Google, Amazon and even Dominos have explored the possibility of using drones to reduce their delivery times from days to hours, or hours to minutes. 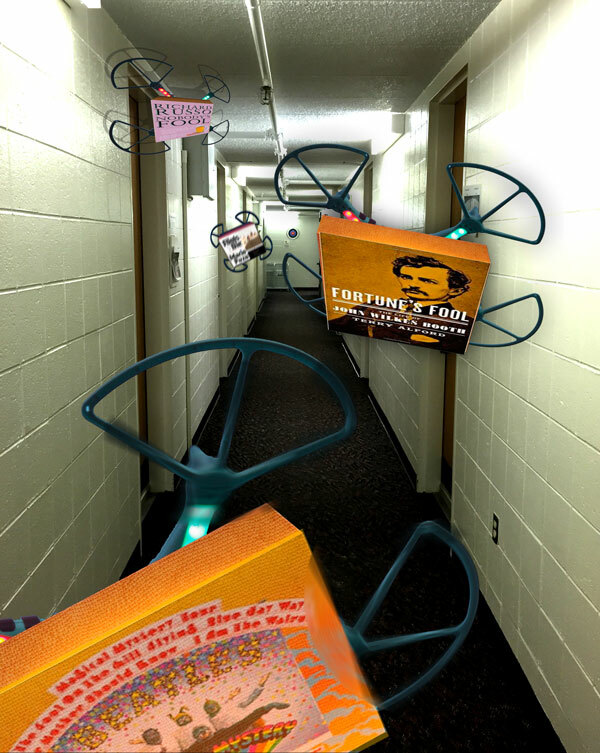 Falvey Memorial Library is proud to make it official: on Thursday, April 2, Falvey will begin using quad-copters to deliver books to students in their residence halls. The Library has partnered with California-based 3DR, “North America’s largest personal drone company,” to implement a service in which a student living on campus may request drone delivery of a library book directly to his/her room. The stated delivery time is 20 minutes, but testing in St. Monica Hall over spring break demonstrated that students can expect delivery within 10 minutes. Saint Monica Hall resident Steve Halek received delivery of Katherine Ann Porter’s classic Ship of Fools in under ten minutes. Students are warned to watch overhead for the book delivery drones, particularly on windy days or when anything by James Clavell is enroute. 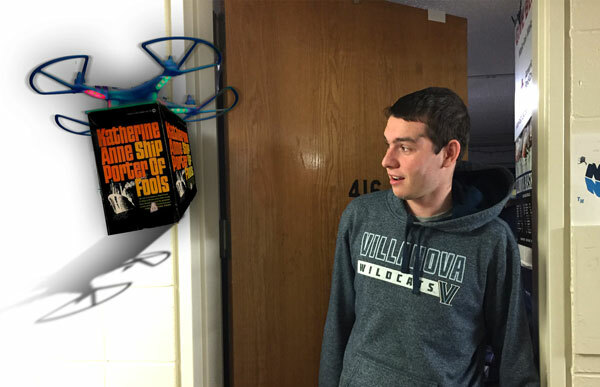 To request drone delivery, students who live on campus may click the “Drone Delivery” button in Falvey’s catalog. 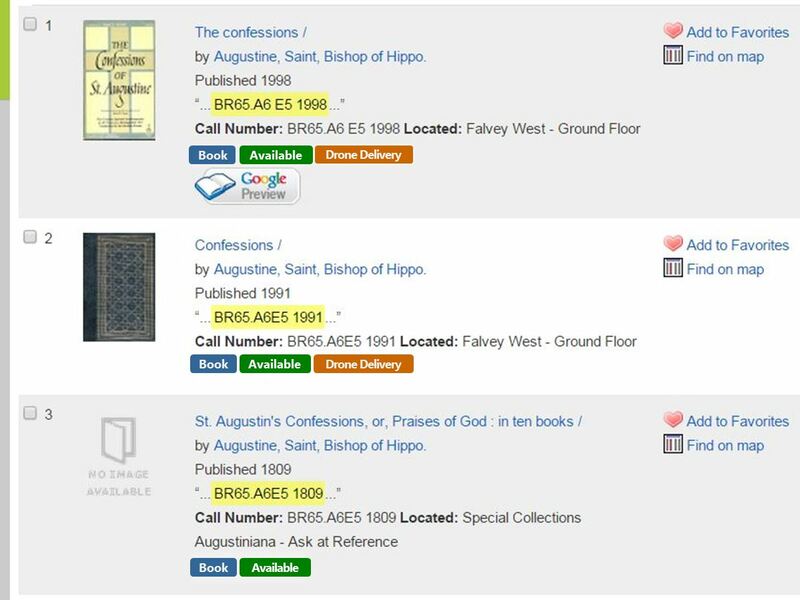 As this screen shot shows, only circulating books are available through this service (Reference, Special Collections books, journals etc. must remain in the Library). Students who are not in their room when the drone arrives or who otherwise abuse this system will lose their drone-delivery privileges. There will be no book-return service. 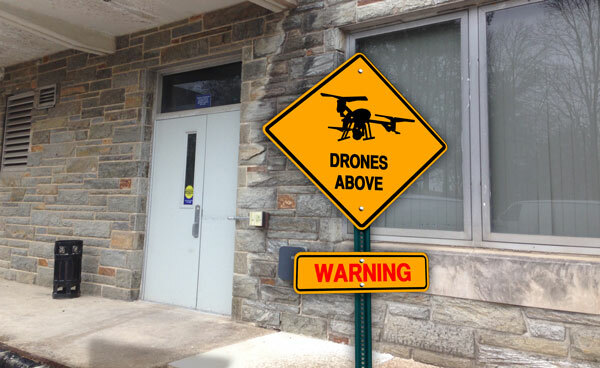 For additional information, please contact Falvey’s drone-delivery coordinator at april.fools@villanova.edu. Gerald Dierkes is senior copyeditor for the Communication and Publications team, a service desk supervisor for Access Services, and a liaison to the Department of Theater. Thank you for your comment and for providing the link for your wonderful video. Your six-propeller drone is impressive, a more capable aircraft than our quad-copters. And you’ve developed a clever name: Library Air Transportation Express (aka LAT-EX). The best part, though, is seeing LAT-EX in action. Also, the item delivered—Those Magnificent Men in Their Flying Machines with the inimitable Terry-Thomas and the unique Red Skelton—was ideal for your video. Congratulations on your achievement! 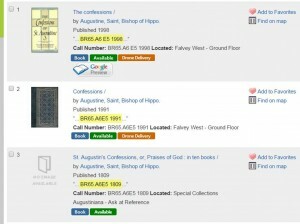 I wonder: could drones for trans-Atlantic library delivery be next?